redesignQuiz: Why was this used car purchase a bad buy? 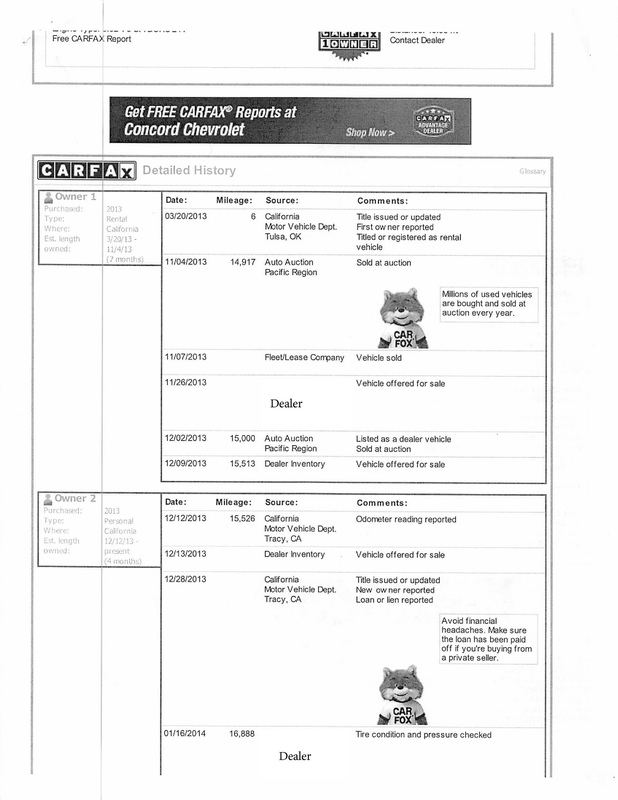 The image below is a CarFax report showing the title history of a used car recently purchased by an acquaintance. CarFax, in case you do not know, is the current industry leader providing auto title histories to consumers and dealers alike. CarFax markets itself as providing information that may impact the purchase decision of a car through a detailed VIN history. For the purpose of this quiz, assume this car was sold at fair market value for a typical car of this make and model year. When I saw this CarFax report, I told my friend he should make all efforts to undo the deal immediately. There are at least two factors in this report that should have warned him away from purchasing this car for that price. List the factors and explain why this was a bad deal. NOTE: I redacted the dealer’s name.